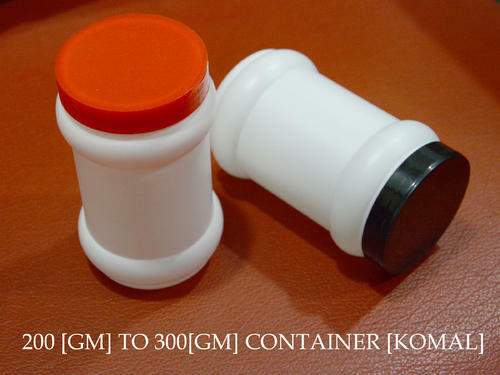 Incepted in the year 1995, at Ahmedabad (Gujarat, India), we "Rutvik Pharma" are the reputed Manufacturer, Exporter, and Supplier of a high quality array of Pesticide Bottle, Glass Bottle Caps, Seal Cap, HDPE Bottle Set, Dropper Stick, Ropp Cap, Inner Plug, Measuring Spoon, Water Bottle Cap,HDPE Chemicals & Pesticides Bottles,Cream Container, Container Caps, Plastic Caps, Glucose Tube Cap, Flip Top Capsule and much more. These products are extremely appreciated by our precious clients for unique features such as durable finish, accurate dimensions and perfect finish. These products find application in various industries. In order to precisely fabricate these products, our personnel make use of high quality raw material and advance technology. These products are perfectly designed with great level of accuracy in total compliance with the set quality measures. Further, we provide these products in assorted specifications in order to meet various demands of our valuable customers. To be a quality oriented organization, we believe in sustaining high quality standards in our products. In order to maintain quality norms, we have a steadfast quality examine department that is well-equipped with modern testing equipment, tools and technology. Our quality personnel inspect the whole manufacturing procedure, right from obtaining raw material till the final dispatch of the product.